Jennifer Kaiser, age 46, is a lifelong resident of Lafayette, IN. She is a graduate of Purdue University with a bachelor's degree in Sociology. Jennifer's equine career decision came naturally. Since childhood she has had the rare opportunity to experience first hand all areas of training and breeding horses, growing up with parents, Stephen & Margaret, on Forrest Hill Farm. 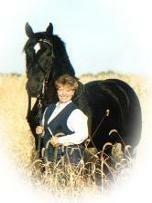 Jennifer is also a successful professional photographer, naturally specializing in equines. Her articles and award winning photographs have been published in many of the top equestrian publications. ● USDF "L" judge with distinction. Helping rider’s attain goals and enjoy the journey. Jennifer teaches many students of all levels at Forrest Hill Farm as well as other facilities. She routinely travels to give outside clinics. Her teaching expertise is reflected by her student’s many achievements. Most titles earned riding Kaiserbred mounts. 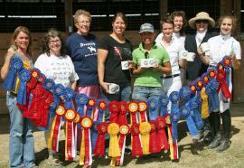 In 2009 Jennifer’s student, Ellen Denis, earned USDF GOLD MEDAL, USDF Horse of the Year, Jr./Yg. Rider Grand Prix Champion, AWS Grand Prix Champion, open & Yg. 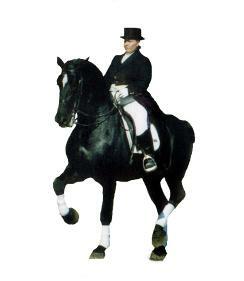 Rider riding, Victor, a Kaiserbred Perch/Tb cross. Even more noteworthy, this young rider trained this horse herself from 1st thru Grand Prix with Jennifer’s coaching.